Does Salary Show What We Value? Surveys talking about salary always intrigue me. I’m not quite sure why, although it possibly stems from my father. He used to cut out graphs that showed the average earnings of people with a high school diploma, an associate’s degree, an undergraduate degree, and a master’s or other professional degree. I’m sure he did this to make us value education. Anyway, for today’s Survey Says, I thought this was an interesting comparison. On the one hand, we have average annual public school teacher salaries, which have increased almost $12,000 over the last ten years. Not bad, school teachers. $56k is a fairly decent salary. Howsoever, when we look at the Highest NBA player salaries for 2012-13, we see that Kobe Bryant earns $27,849,149. Is it just me, or is something seriously wrong with this picture? 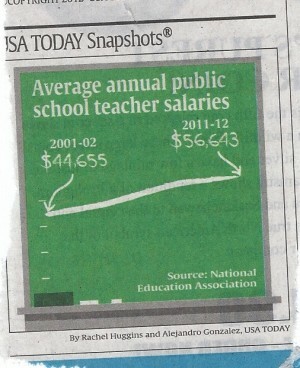 School teachers–who educate our children, the future of our country–make only 0.2% of what an NBA star does. 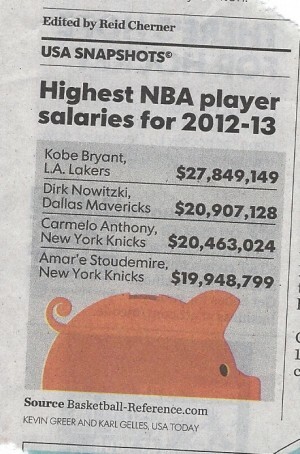 And, granted, these are the highest-paid NBA players . . . but still. The disparity is too much. I could get on my soap box about this, and point out some of the excesses in society and the upside-downness of what we’re willing to pay for, but I don’t think there’s any need. These numbers speak for themselves. All I have to say to you in that 1%: EW. For Christmas in 2011, I asked my Dad for a newspaper subscription. He and my mom are inveterate newspaper readers (they subscribe to at least four), and I had noticed how enjoyable it was when I was visiting to read their papers. So I’ve been a subscriber to USA Today for over a year. Some days I read the whole thing, and other days–er, weeks–the papers stack up and I go for a quick skim before tossing them into the recycling bin. Now, nothing against Apple. I myself have an iPhone and a Mac. But A YEAR’S WORTH OF FREE FLIGHTS IN THE US? 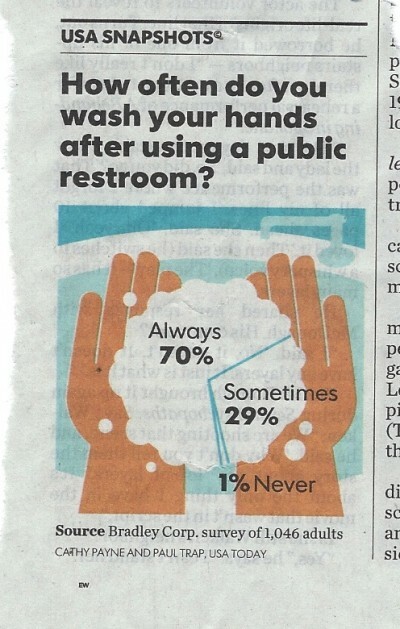 43% of you are obviously out of your minds. Sure, it’s nice, but iPhones aren’t that cool. I would also give mine up for a two-week cruise or a $500 shopping spree. Does that make me disloyal? Cheap? Or smart? 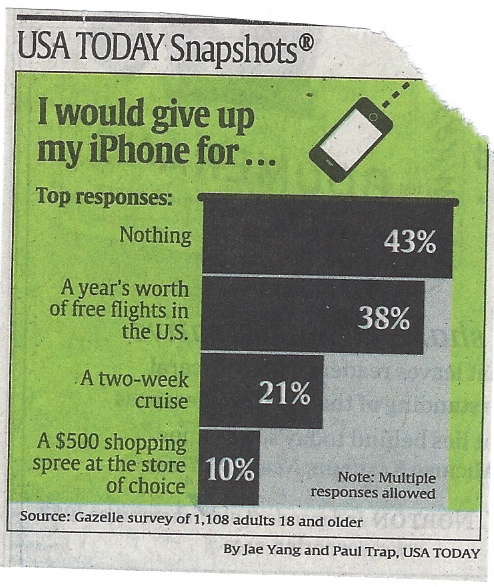 I’m going to ask the same question, but with a twist: what wouldn’t you give up your iPhone for?